Energetic Sessions are like surfing the wave of your energetic release… as all that you are is sent out of you in a way that is understandable and tangible… to help you see, and become witness to, the emotional state of your Mind and Heart in the present moment. It means that with this open dialogue you gain a deeper, clearer understanding of who you are and why things are presenting themselves to you in the way that they are. It means that within a few, short moments, you can better understand your life and your relationship to it. It means a greater sense of self empowerment as you recognize the things that are blocking you. It means connecting to your highest aspect, your grandest version of Self. 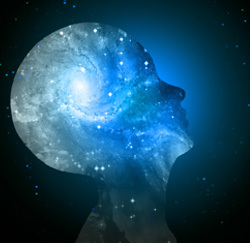 As you connect with this highest Self you begin to see the clear connection between you… and everything else. You begin to see and live by the understanding that what you are currently thinking and believing creates the life you are presently living. You begin to notice your personal programs, your beliefs, and the way they are moving the momentum of your life. And you finally begin to understand why you do the things you do, and why what you feel is so important to creating the life you really want. If you are looking for clarity and guidance I am available for One~to~One phone sessions, Messenger, or in~person sessions at our home on Tuesdays, Wednesdays, and Thursdays. Please take a look at our website for more tools, meditations, and lots of free information on the changing energies, and how you can best move through them to achieve the Inner Harmony you seek. If this resonates with you, and you are ready to book a session, please contact us by email at giveuppain(at)gmail.com to schedule your personal reading. We are so truly grateful for each and everyone of you, to every person that we have had the joy and privilege of meeting and interacting with. It is because of you that we are able to move forward in our work, and in our mission to bring clarity, solutions, and relief. Thank you for subscribing, for sharing our work… and our world. Thank you for your ongoing support as we take our message, and our solutions, to where they are needed most. Thank you so much from the bottom of our hearts for everything you do, and please keep it up! We love you, and we look forward to our ever evolving conversation… and to all that is yet to come! *all content may be shared with the inclusion of the writers name and a link to this website.